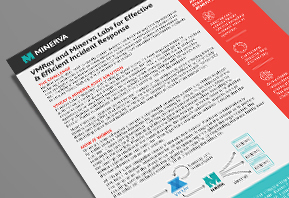 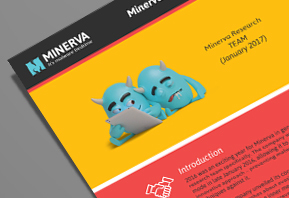 Learn how Minerva together with VMRay automates the analysis and prevention of evasive malware to help IR teams contain and eradicate breaches rapidly. 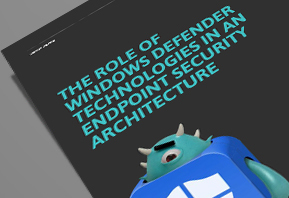 Microsoft's Windows Defender naming can be confusing. 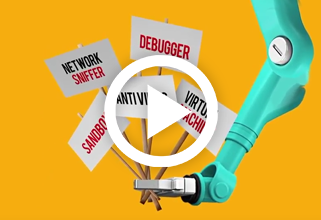 With 12 distinct technologies, what role does each play in your endpoint security architecture? 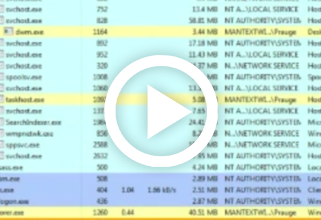 What are their dependencies and restrictions? 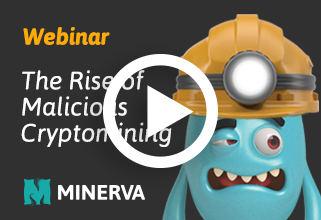 Watch Omri Moyal, Co-Founder & VP Research at Minerva Labs and Thomas Roccia, Security Researcher at McAfee give a deep dive into the uncharted of CoinMiners stealth tactics. 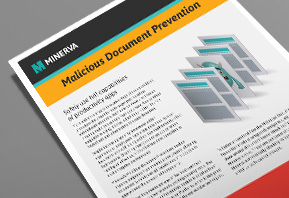 Learn what you can do to stop malicious office documents from infecting your endpoints and reduce your organization's vulnerability. 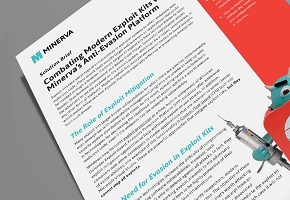 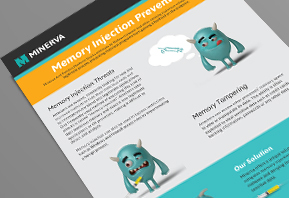 Modern exploit kits incorporate evasion tactics to avoid analysis, which makes Minerva’s Anti-Evasion Platform especially effective at protecting enterprises from such threats. 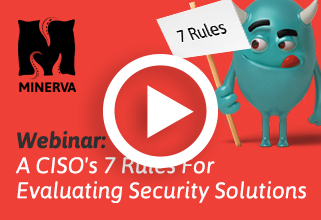 Join James Rutt, CIO at The Dana Foundation, as he shares his 7 rules for evaluating security solutions and how these apply to different security solutions he recently implemented in the organization. 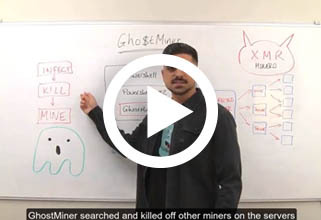 Watch Security Researcher Asaf Aprozper dissect the GhostMiner campaign and explains how fileless malware techniques were used to launch a cryptomining campaign that went undetected by most AV vendors. 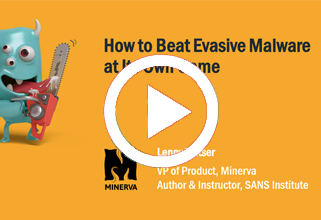 Watch Lenny Zeltser, Minerva’s VP of Products, as he reviews our recent survey’s findings and shares his analysis of the responses. 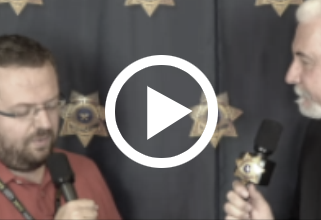 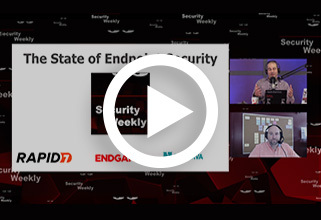 Watch Security Weekly's recent interview with Lenny Zeltser and Eddy Bobritsky and learn how to test and evaluate endpoint security products. 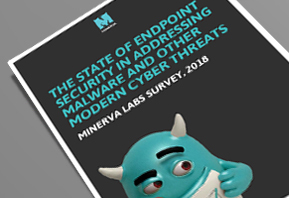 Download the Minerva Labs 'State of Endpoint Security 2018' survey to discover what 600 IT Security Professionals are challenged with when it comes to addressing malware and other modern cyber threats. 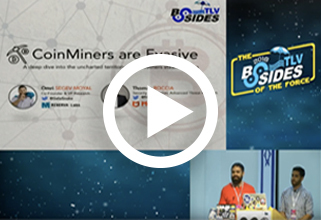 Join Omry Moyal to learn practical tips and tricks on how to block malicious cryptominers. 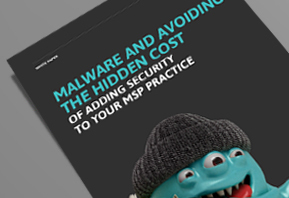 Discover the challenges and opportunities MSPs are facing with putting essential security in place, how to avoid the hidden costs and ensure reliability, predictability, productivity, and profitability. 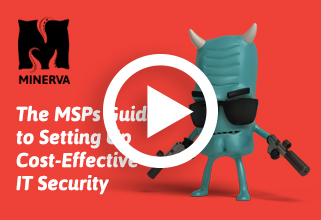 Join Lenny Zeltser who will share his expertise in this field and explain the role that MSPs can play in safeguarding customers’ IT infrastructure. 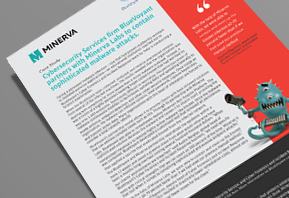 Cybersecurity Services firm BlueVoyant partners with Minerva Labs to contain sophisticated malware attacks. 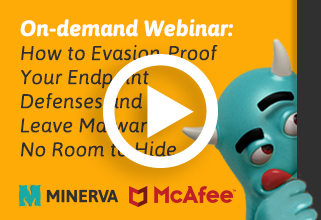 Evasive malware can easily hide in packers to avoid your endpoint security solutions. 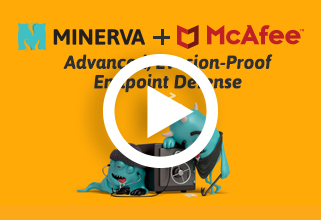 See how Minerva prevents fileless attacks and adds a critical defense layer to your endpoint security stack. 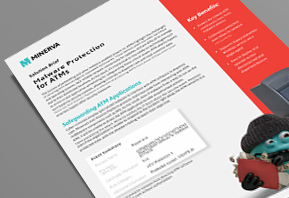 Minerva provides reliable and comprehensive safeguards against ATM malware. 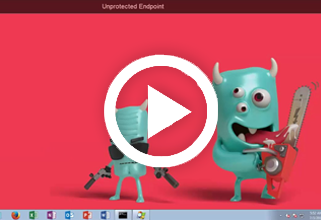 Get practical tips and tricks for evaluating endpoint security prevention and detection products. 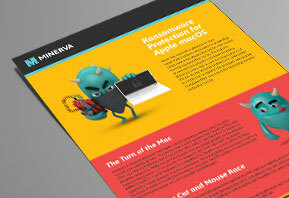 We'll share our expertise in malware defenses and product testing. 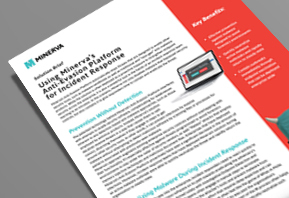 Deploying Minerva’s Anti-Evasion Platform as part of the incident response process helps contain the threat automatically and quickly. 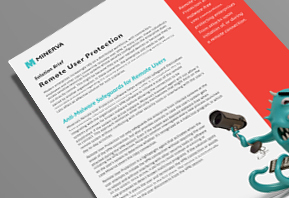 Understand the pros and cons of various AV augmentation technologies and discover how anti-evasion improves your security posture in a meaningful way. 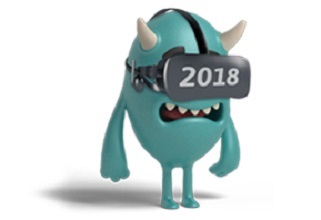 End of the year offers an opportunity to reflect upon the key events that have shaped 2017 and set the direction for 2018. 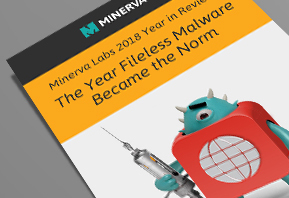 Here are the key takeaways of Minerva’s research into the malware families that were prevalent in 2017. 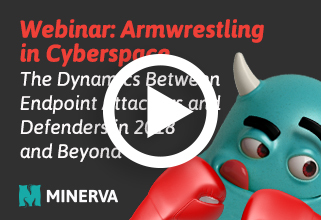 Join Gal Bitensky, Minerva Labs' Senior Security Researcher, who reviews the key trends of 2017, their lasting impact and how these could influence what happens in 2018. 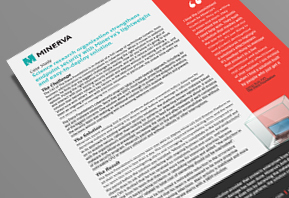 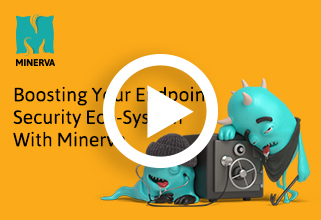 See how Minerva’s Anti-Evasion Platform makes it highly effective for safeguarding Virtual Desktop Infrastructure environments and individual virtual desktops. 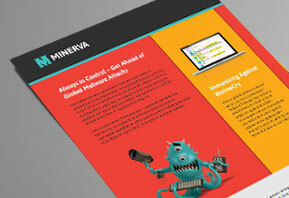 Minerva Labs blocked more than 95% of attempted attacks. 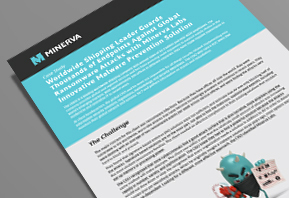 As a result of fewer infections, investigations and reimaging were avoided, saving significant time and resources. 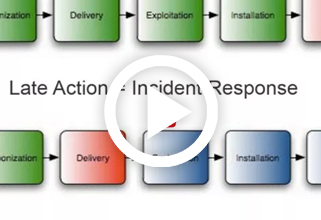 Malicious attacks on industrial control systems (ICS) and supervisory control and data acquisition systems (SCADA) environments are on the rise. 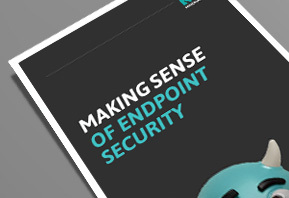 For security architects, endpoint security can be a confusing space. 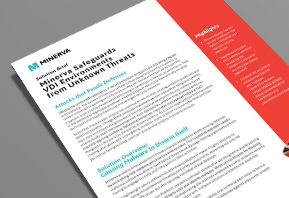 We will make sense of the options available to organizations seeking to improve their endpoint security. 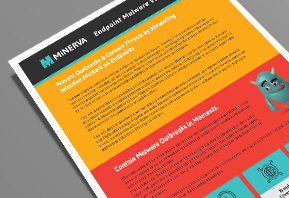 Read this whitepaper and get a brief history of endpoint malware vaccination and how incident response teams can immunize endpoints in moments to contain outbreaks. 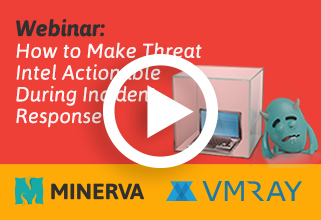 Learn more about how to immunize endpoints in moments by simulating infection markers across all enterprise endpoints. 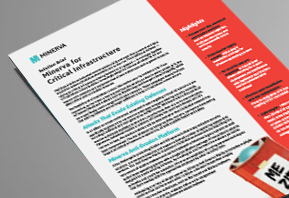 ECI’s internal cyber security program has to be exemplary to ensure no internal breaches. 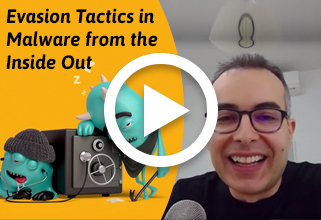 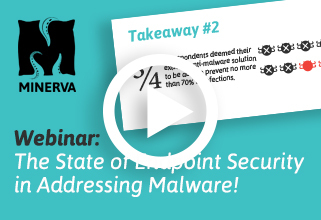 Learn more about how to turn malware strengths into weaknesses by using a deception approach on endpoints. 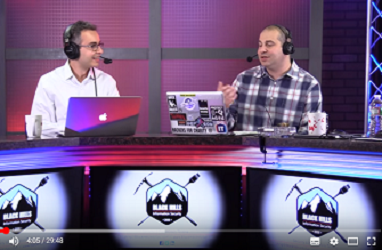 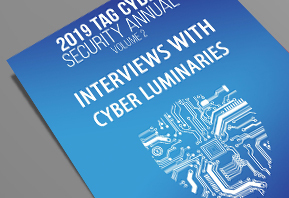 Check out Eddy Bobritsky’s interview with Paul Asadoorian of Security Weekly about where people should focus their efforts in endpoint threat protection, detection and reaction. 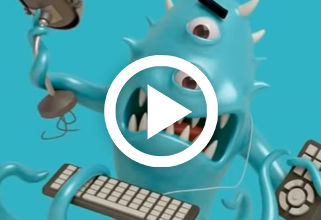 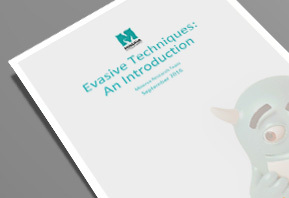 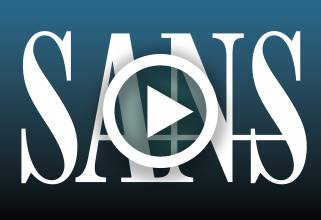 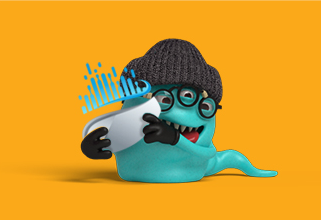 Learn more about evasive malware in our webinar co-hosted with SANS Institute. 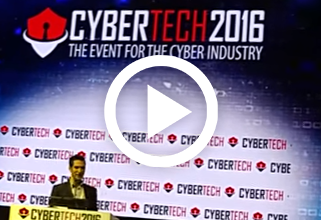 Eddy Bobritsky, Minerva Labs CEO, presents Minerva Labs' solution at the Cybertech 2016 Cybox contest. 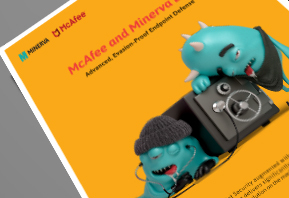 A demonstration of IronGate, a SCADA targeted malware. 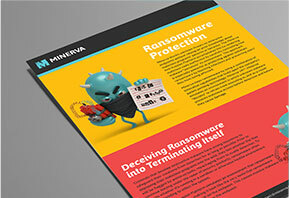 A demonstration of the Petya ransomware combined with a common packing technology. 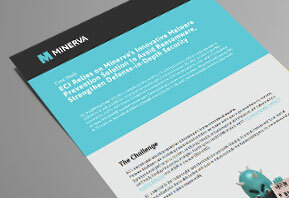 Minerva give the CISO a peace of mind by preventing cyber-attacks without the need for prior detection. 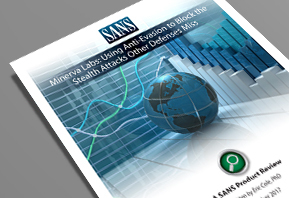 Evasion techniques are a set of malware capabilities that evolved as a result of the need to avoid execution within a hostile environment. 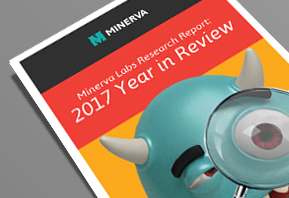 This paper will go through the prominent cases the team observed during 2016 providing a wider perspective to the reader.